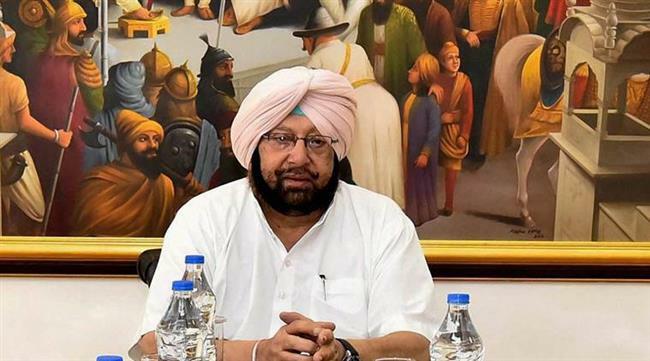 Chandigarh, September 29: The Cyber Cell of Punjab Police has registered cases under various sections of IPC and IT Act after a morphed and dubbed malicious video of Chief Minister Captain Amarinder Singh went viral on the social media. The cases have been registered against unknown persons, with preliminary inquiries revealing that the malicious video had been uploaded and doctored by an unknown person with the user name “Harsh Sofat” (@harshsofat9). The police have also initiated steps to get the malicious content removed from all social media sites, according to a police spokesperson. In the said video, the voice of the Chief Minister has been altered by deliberately slowing down its pace in a bid to create an impression that he is under influence of some intoxicant. The spokesperson said since the video has been wilfully manipulated, uploaded and circulated on the Social Media Platforms with the sole intent of tarnishing the Chief Minister’s image, cases under Sections 67 of IT Act 2008, and Section 500 and 505 of the IPC have been registered. Initial investigations by the cyber cell have revealed that the video had been created using a Chinese app, ‘TikTok’, which allows users to dub and alter voices on recorded videos. The user, according to the police, is following two accounts - “thiscouple” (@mdeepkur87) and “Being Nawaz” (@funnyyadavji), and has three followers, @Happy mundhon” (@sukhdevsukhahappy), “Oyekhurmi” (@oyekhurmi) and “Kinda Kinda” (@kindakinda9) on the TikTok app. The video was initially circulated on a WhatsApp group, “Youth group nabhaz”, and also uploaded on a Facebook Page, “Majha Akali Page”. Further investigations are underway to identify the suspect.